Tomatoes are one of the most staple vegetables on the market today. That’s why some people are considering planting tomatoes in their homes. But for some reason, most of them fail to grow tomatoes in their pots. What they don’t know is that the soil they use is not the proper soil to use on their potted tomatoes. Tomatoes need proper care to produce the best kind of crop in your pots. That’s why it’s important to know what’s the best potting soil for tomatoes are. In this article, you will learn the basics of growing potted tomatoes. And what kind of soil is needed to help them grow properly. Even though tomatoes can grow in any type of climate. There are still conditions that need to be fulfilled. To help you produce the best kind of tomatoes. We’ve organized some facts on how you can properly grow a tomato. And what you need to consider before growing a potted tomato in your home. The soil of the potted tomato is the important factor that you’ll need to be focused on. Depending on what variety of tomatoes that you’re going to grow in your home. Consider these factors that affect the quality of the soil that you’re going to use. The first characteristic of a good potting soil is its texture and quality. The preferred quality of soil to grow tomatoes is in a loamy soil. Although tomatoes can grow in almost any kind of soil, loamy soil will yield better results for you. The type of soil that you need to avoid is that made mostly out of clay. A soil that’s made up of mostly clay doesn’t have enough nutrients for your tomatoes to grow. Another reason is that tomatoes need to be planted on loose soil. Dry and clay soil isn’t really favorable to potted tomatoes. However, you can still change the properties of the clay soil if you mix in other types of soil. This way, the texture and quality of the potting soil will change according to the needs of the tomato. Aside from the texture, the pH level of the soil is also important. The acidity level of the soil can be measured by determining its pH level. There are different levels of a soil's acidity and that acidity affects the growth of the plant. The normal pH of a soil is measured at 7, and more than that is considered dangerous to other plants. Lowering its acidity level is likewise dangerous because of the insufficiency of nutrients. That’s why it’s best to maintain the pH level to 7. There are other plants that need a higher or lower pH level in their soil. To increase the acidity of the soil you can add lime to the soil. And, if you want to lower its acidity you can add fertilizers or sulfur into the mix. The richness and fertility of the soil play a major role in the growth of the tomatoes in your pot. With more organic compounds added to the pot the better the plant will grow. Having a rich and fertile soil means that the pH level of the soil is just right. If the soil is not that fertile you can always add organic fertilizers to balance the nutrition in the soil. These fertilizers can help your tomato grow well in any weather. Just remember to avoid adding too much fertilizer because it can affect the growth of the tomato. To know the level of fertility of your soil, you can always buy soil test kits. These kits can be bought in your garden shops or malls. These soil test kits can determine the acidity of your soil. The nutrition level and the level of nitrogen in the soil. Finding potting soil is easy especially at this time. There are 3 specific places where you can buy potting soil. And that is in your local gardening store, the mall, and now online. The advantages of buying potting soil in your local gardening or hardware store. Is that they can help you choose the type of soil to use. Most gardening stores have knowledgeable staff to assist you in choosing. The next place that you can buy the soil is in malls. Malls have a variety of stores which would probably have one or two shops that sell potting soil. If your place doesn’t have a local gardening store, then the mall is your go-to place. And finally, you can now order the best potting soil for tomatoes online. With just a few clicks you can now buy your desired potting soil online. The downside to this, however, is that you can’t actually see or physically inspect the product. When buying something online. Reading reviews will significantly help you in making your decision. Try to read as much as many reviews online before buying anything. This will help you decide on what to buy because of the feedback of the reviewers. Now that you know what to look for in a potting soil and know where to buy it. We’ve reviewed some of the best potting soil on the market today. This might help you decide on what kind of soil you will use on your own potted tomatoes. 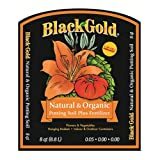 If you’re looking for a starter potting soil for your tomatoes. Then the Baccto Michigan Peat 1225 might be what you’re looking for. This potting soil features a slow release formula that works well with any type of plant. Made only from the best fertilizer, this soil has a rich and dark color. It has a very light texture that doesn’t bind to the roots of the plant. This makes root cutting or transferring of plants from one pot to another easy for you. This premium potting soil has no mixture of any twigs or limbs in its contents. This makes the plant grow faster and it doesn’t get tangled in the roots of your plants. What makes this soil stand out from the rest is that it can carry sufficient amount of water. The soil doesn’t stick to the roots of the tomato. It can be mixed with other fertilizer mixes. Has no mixture of any twigs and rocks. It’s loamy and can hold sufficient moisture. One bag can only accommodate 2-3 pots. Some bugs might find the soil attractive. If you’re looking for a moist but rich in organic compound potting soil. Then the AP8 8-Quart Organic Potting Mix by Espoma might be what you’re looking for. This potting soil is perfect for indoor and outdoor plants. It has excellent water absorption and can maintain moisture for a healthy loamy soil. You can use this potting soil in any kind of plant. This soil works well with vegetable variety plants and also flowering plants. It can be mixed well with other fertilizers for a healthier soil. The soil is equipped with a formula that doesn’t attract bugs or insects that burry underground. And what makes this product stand out is that it can be used to grow microgreens. The soil made only with organic compounds. The soil doesn’t attract insects and bugs. Works well with indoor and outdoor plants. Tiny mushrooms sometimes grow on the soil. Twigs and tiny rocks may be found in the soil. The soil sticks to the roots of the plant. This potting soil is made up of organic materials and compost. 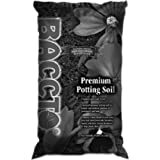 If you’re looking for a potting soil that doesn’t need to be fertilized with other compounds regularly. Then the Black Gold 1302040 8-Quart is what you might need. Made from the finest organic ingredients. This potting soil is the go-to soil for gardeners. It works well with flowering and fruit-bearing plants because of its loamy soil. The soil light which makes it easy for the plant and the roots to breath. What makes this product stand out is that the soil is loose and doesn’t grip the roots. When the soil doesn’t grip on the roots that much, it can be transferred easily. This potting soil can also be used for planting herbs and spices. It can be used for planting herbs and spices. Made from all organic compounds. Can be mixed with other fertilizers. Some bags might contain small twigs. Mushrooms might grow if left unused. If you’re looking for an all-around and high-quality potting soil then. The Classic Potting Soil by Repotme might be for you. 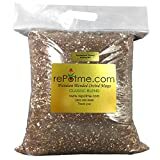 This multi-purpose potting soil is excellent for any indoor or outdoor plant. You can use it to grow herbs, spices, flowers, and fruits. This potting soil can absorb water and moisture well which makes a great base for any plant. You can use this soil to repot your big plants with ease. Because of its compound. It can maintain your repotted plants health without any problem. What makes this product stand out is that it’s the best potting soil for beginners. The pH level and the quality of soil make it a great starter for gardeners. 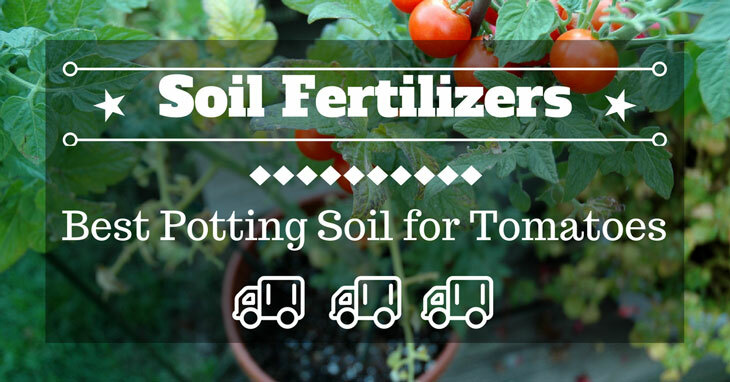 This potting soil makes a great base for potting tomatoes in your garden. Great potting soil for beginners. It can be used as soil for repotting plants. You can order it in any size of the bag. It can absorb a large quantity of water. The soil grips the roots of the plant. Vegetation might grow if left unused. Packages might contain small twigs and stones. If you’re looking for a potting soil that would improve the health of your potted plants. Then the Ocean Forest Potting Soil by FoxFarm might be what you’re looking for. You can mix this soil with other brands to improve the overall health of your plants. What makes this product stand out is that it doesn’t attract insects and bugs to the soil. It has a great smell and doesn’t need to be watered daily because of its strong absorption. Within a few days of using this potting soil, you will see the difference. You can also use this potting soil to grow herbs, fruits, and vegetables with great results. The soil doesn’t stick to the roots of the plants which makes it easy to repot. Plants that reject certain soil couldn’t resist this kind of potting soil. Contains a balanced pH level. It can be used to grow any kind of plant. This potting soil doesn’t attract insects. Might contain small twigs and stones. There is hundreds of potting soil that’s being sold in the market today. But there is those potting soil which stands out from the rest. And in this list, the clear winner is the Ocean Forest Potting Soil by FoxFarm. Going back to the best qualities of a potted plant, this product has all of these qualities. This soil contains an all organic compound which tomatoes love. Using this kind of soil to grow tomatoes would yield excellent results. Having a balanced pH level and quality of nutrients is important in growing tomatoes. This potting soil has that balanced quantity and quality. So, if you’re looking for the best potting soil for tomatoes. Then the Ocean Forest Potting Soil by FoxFarm might be what you’re looking for.